After touring flood-ravaged areas in Guanay, a town in north of La Paz department, Zabaleta told reporters in the capital that the heavy rains sparked by the La Nina weather phenomenon have claimed eight lives, washed away thousands of homes, and damaged cropland, bridges and roadways. On Feb. 7, the government declared a "state of emergency" to allow local and regional governments to transfer budget funds to meet the immediate needs of the victims. 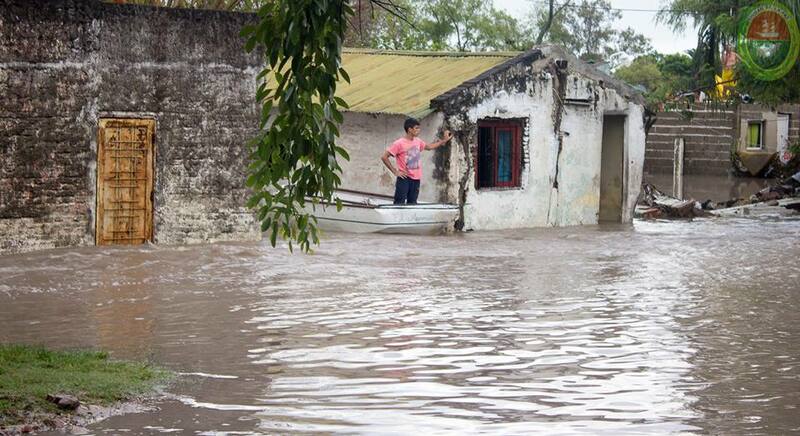 Nearly all of Bolivia's nine departments have reported flooding that has displaced residents, leaving a total of 17,000 families, or some 85,000 people, homeless, and six regions have been hit the hardest. During his inspection tour, Zabaleta delivered supplies to flood victims and said that government officials from the Housing Ministry would coordinate with local officials on the reconstruction. He called on the mayor's office and residents to rebuild their new homes on higher ground and away from the banks of the river to avoid the repetition of this disaster. Have you ever tried CutTheWood DIY woodwork plans? If you ever have, then you know it requires good woodwork planning.